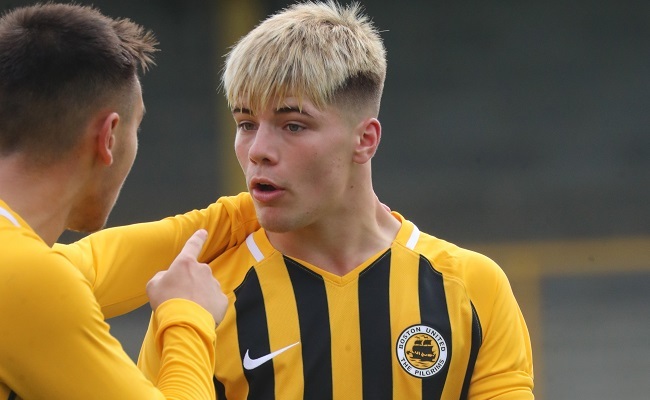 Midfielder Lewis Bontoft scored twice as Boston United secured a 2-0 victory in the National League U19 Alliance League Cup on Wednesday afternoon. The Pilgrims accounted for Norwich City RDP at Freiston FC courtesy of Bontoft's brace either side of the break. He opened the scoring with a rising finish in first half stoppage time before glancing home Jamie Gaukroger's free-kick delivery in the 57th minute. Boston (4-3-3): Nick Ivanov; Jamie Gaukroger, Harry Cranfield, Daniel Fisher, Nathan Stevens; Lewis Bontoft, Marshall Young, Mido Turki (Marc Tucker 60); Xander Crashley, Harrison Holland (Cole Willerton 69), Jenson Bark.